Marcelo Bielsa’s presentation of his extremely thorough tactical analysis last week was a rare glimpse at what football clubs do to prepare for fixtures. Through the lens of social media, we know what a star player has had for lunch or how their new dog is progressing, but rarely has the preparatory dedication at the heart of modern football been seen so clearly. The initial belief of many in the room – that what they were witnessing from the Leeds manager was something unprecedented – was dispelled in the days that followed, and it is true that most professional clubs now spend considerable time and effort on opposition analysis. 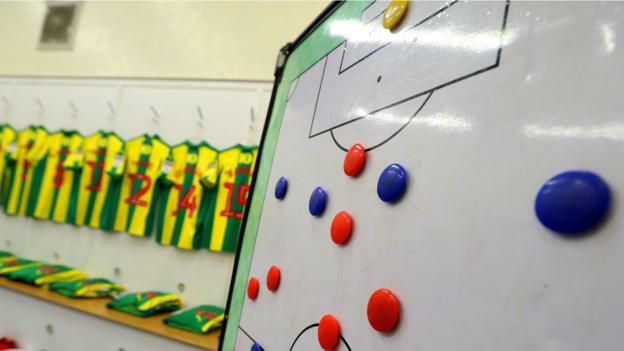 Most clubs will work with organisations such as OptaPro to gain access to tools that simplify and speed up certain bits of the process but it will still take two or three days to create the presentation that the club’s manager and players will see before their next fixture. Like a musician in an orchestra, the opposition analyst must be able to work as a solitary unit while being completely in tune with the other elements that make up the team’s overall approach. For instance, it is no good suggesting exploiting the space behind your opponents’ full-backs if you know the manager favours inverted wingers. And why recommend playing a back three in the next game when the club’s medical team have made it known that you will be lucky to have even two central defenders available? In All or Nothing, the Manchester City documentary series released last August, Pep Guardiola’s opposition analyst Carles Planchart is thrust in front of the players after the game at Newcastle. Guardiola warns his team that Planchart has identified their next opponents, Crystal Palace, as a clear threat to their (then) unbeaten record in the Premier League. The trust the City boss shows in Planchart is testimony to their working relationship and the quality of the information he provides. Bielsa’s description of the vast number of games his analysts had watched seemed outlandish in its commitment to some at the press conference. However, before facing any opponents, clubs generally watch live their three preceding games, with ample video research to supplement this. And technology is a big advantage here: no more spooling through tapes looking for specific set-piece routines or who the first receiver in midfield is. You want to be able to define a team’s style of play based on their specific approach in different phases of play, and tools based on time-stamped data will return specific events, plays and sequences in a matter of seconds. The increase in speed in the modern game is not confined to the pitch. That was the verdict of new Stoke manager Nathan Jones after his team, in a 3-5-2 formation, defeated Leeds last weekend. Yet Luton used three centre-halves in two of their first six league games this season, so Bielsa and his analysts would have seen Jones try this before. They just might not have expected him to do it at Stoke. Historically, English football has fetishised the manager as inspiration, the passion of the “Christ-let’s-get-out-there-and-beat-them” merchants. But in a game where fractional decisions can be the difference between success and failure, there are not many managers left who roll up on a Saturday morning and tell the players to get stuck in.